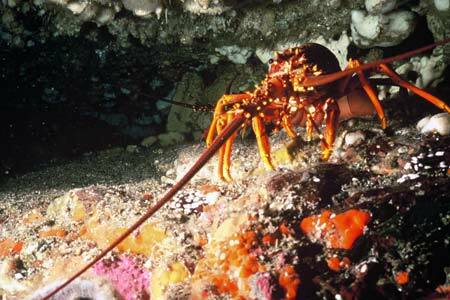 This is the most common kōura or crayfish in New Zealand – the red crayfish. They were traditionally highly prized. Today, the prestige of a hui (gathering) is often greatly enhanced by the provision of the sought-after kōura.